The Qurayyah Painted Ware was in use during the latter part of the Late Bronze and the Iron I periods, from the 12th to the 11th centuries B.C.E., about the time of the Exodus from Egypt according to those who attribute some historicity to this central Biblical event. ——————Subscribers: Read the full article “Kadesh-Barnea—In the Bible and on the Ground” by David Ussishkin, Lily Singer-Avitz and Hershel Shanks in the September/October 2015 issue of Biblical Archaeology Review. 1. The name Kadesh-Barnea in Hebrew is qādeš barnēa‘. The Hebrew root qdš means “holiness,” “separateness”; the meaning of the second word is not known. See Dale W. Manor, “Kadesh-Barnea,” in David Noel Freedman, ed., The Anchor Bible Dictionary, vol. 4 (New York: Doubleday, 1992), p. 1. This Bible History Daily feature was originally published on September 14, 2015. My equinox year hypothesis is based on the idea that before the Assyrian cultural dominance in the Levant (i.e. before 750 B.C.E.) the Israelites used a 6 month period as the year. Then the Exodus would be in the first part of the 11th century. It fits the chronology of the layer 4c (on page 41 in the article). The next question is, is there any evidence it was occupied by the Israelites? And the next question is, is there any evidence that they came from Egypt? Almost everything the socalled experts tell us about archaeology is wrong when it comes to precise dating. Relative dating is pretty accurate. But they’ve sold us a bill of goods with the timeline. The Mountain that Burned with Fire has been estalished as in Saudi Arabia. When Israel crossed the Red Sea, it was that part now called The gulf of Aqaba. To look for Kadesh Barnea in the so-called Sinai Peninsula seems to me to be a very bad diversion. If the current idea can be reached from Saudi Arabia it would seem possible, and would fit with another scripture. When Israel was finally to go into the land they had to go AROUND the land of Edom, indicating that they were to the west and south of it. Since Eilat became a major port for Solomon, it would add to the possibility. (Kaʹdesh) [Holy Place], Kadesh-barnea (Kaʹdesh-barʹne·a) [Holy Place of Barnea]. An Israelite wilderness encampment situated at the extremity of Edomite territory near “the way to Shur,” perhaps the modern Darb el-Shur extending from Hebron to Egypt. (Ge 16:7, 14; Nu 20:14-16 [Heb. ʽir (city) at Nu 20:16 may simply mean encampment; compare Nu 13:19.]) Apparently 11 days’ travel distance by way of Mount Seir separated Kadesh-barnea from Horeb.—De 1:2. Kadesh is spoken of as being located in both the Wilderness of Paran and the Wilderness of Zin. Possibly Zin and Paran were adjoining wildernesses that met at Kadesh, and therefore, the site could be referred to as lying in either one. Or, the Wilderness of Zin may have been part of the larger Wilderness of Paran. (Nu 13:26; 20:1) In Abraham’s time the place was known both as En-mishpat and as Kadesh. (Ge 14:7; 20:1) It is perhaps the same site as Kedesh.—Jos 15:21, 23. ʽAin Qedeis, about 80 km (50 mi) SSW of Beer-sheba, has been suggested as a possible identification for Kadesh. In the midst of a desolate wilderness (compare De 1:19), the pure and sweet water of the spring at Qedeis supports an oasis of grass, shrubs, and trees. There are also two other springs in the vicinity, ʽAin el-Qudeirat and ʽAin el-Qeseimeh. Today the largest of the three springs is ʽAin el-Qudeirat, and for this reason some favor identifying it with Kadesh-barnea. However, ʽAin Qedeis is the most easterly spring. Consequently, the identification of ʽAin Qedeis with Kadesh-barnea seems to be more in line with the description of the E-W course of Canaan’s southern boundary: Kadesh-barnea (ʽAin Qedeis? ), Hazar-addar (ʽAin el-Qudeirat? ), and Azmon (ʽAin el-Qeseimeh? ).—Nu 34:3-5. If the Israelites did encamp in this area, because of the vast multitude they doubtless used all three springs. For example, the encampment just before crossing the Jordan spread out “from Beth-jeshimoth to Abel-shittim.” (Nu 33:49) That was a distance of about 8 km (5 mi), according to the suggested sites for those places. The distance from Kadesh-barnea (ʽAin Qedeis) to Azmon (ʽAin el-Qeseimeh) is about 14 km (8.5 mi); and to Hazar-addar (ʽAin el-Qudeirat) is 9 km (5.5 mi). So, for them to have used all three springs is not an unreasonable possibility. It is also possible that the whole area was called Kadesh-barnea with the name preserved in the SE spring. There would be no evidence even if it the famous Biblical site because the Israelites didn’t have permanent settlements during the Exodus. Over the years many people would have camped at the site especially if there was water nearby. But because there is likely to be no physical evidence of the Exodus people will always scoff at the idea that the Exodus actually took place. The Hyksos for example left Egypt shortly before the Exodus, but have we any evidence of their sojourn into Canaan and other parts of the Middle East? No. It was no different for the Israelites and the Exodus after all it happened about 2500 years ago. Kadesh-Barnea in the Eastern Sinai is a place I know from the recent wars between Egypt and Israel, but I tend to believe that if an Exodus took place at one time, it had to be some place where there are some signs that such a mighty host of people camped for 40 years, and the best candidate is the Hezaj. 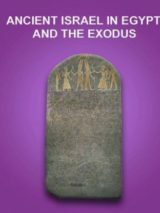 However, if, contrary to the Bible story, the Exodus was a durative phenomenon that took place over a very long time, then the Kadesh Barnea of the 20th century wars can be where most people believe it to be. There simply isn’t enough collaboative archaeological data accumulated to ascertain with any degree of certainty. People everywhere know of the Exodus from Egypt. But what awaited Moses and God’s people after they crossed the Red Sea? 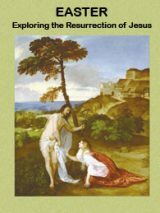 Where did they head, and how did they reach the Jordan River to enter the Promised Land? Their goal was the land of Canaan, yet Moses did not take the shortest route—about 250 miles [400 km] along the sandy coast—which would have led straight through Philistia, enemy territory. Nor did he head across the vast center of the Sinai Peninsula, where intense heat baked the gravel and limestone plateau. No, Moses led the people south, down the narrow coastal plain. The first camp was at Marah, where Jehovah made bitter water turn sweet. * After leaving Elim, the people murmured for food; God sent quail and then manna. At Rephidim, water was again an issue, attacking Amalekites were vanquished, and Moses’ father-in-law urged him to get help from capable men.—Ex, chaps. 15-18. Moses then led Israel toward the mountains farther south, camping at Mount Sinai. There God’s people received the Law, built the tabernacle, and offered sacrifices. In the second year, they went north through a “great and fear-inspiring wilderness,” the journey to the area of Kadesh (Kadesh-barnea) apparently taking 11 days. (De 1:1, 2, 19; 8:15) Because of becoming fearful over a negative report from ten spies, the people had to wander for 38 years. (Nu 13:1–14:34) Among their stops were Abronah and Ezion-geber, and then they went back to Kadesh.—Nu 33:33-36. When it was finally time for Israel to approach the Promised Land, the Israelites did not move due north. Their route took them around Edom’s heartland and up “the king’s road,” the King’s Highway. (Nu 21:22; De 2:1-8) It was not easy for a whole nation—with children, animals, and tents—to move over this trail. They had to wind down into and climb back out of formidable gorges—the Zered and the Arnon (nearly 1,700 feet [520 m] deep).—De 2:13, 14, 24. Finally, the Israelites reached Mount Nebo. Miriam had died at Kadesh, and Aaron, at Mount Hor. Moses now died in sight of the land he had desired to enter. (De 32:48-52; 34:1-5) It fell to Joshua to lead Israel into the land, ending a journey begun 40 years earlier.—Jos 1:1-4. Of course you won’t find Kadesh in the Sinai, They crossed the Red Sea and stayed on the Arabian side for 40 years. It’s over there someplace. A step by step the puzzle of Exodus will be uncovered. Hopefully there will be also the findings from anthropology field. Thank you BAR BAS BHD.